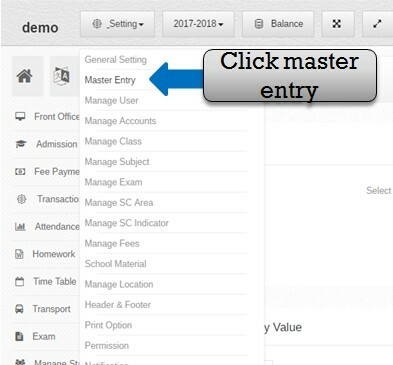 Step:-1 Click setting option then select master entry option now open master entry form then add new master entry value in master entry list . Step:-2 In master entry form add master please select salary head type then enter salary head value . 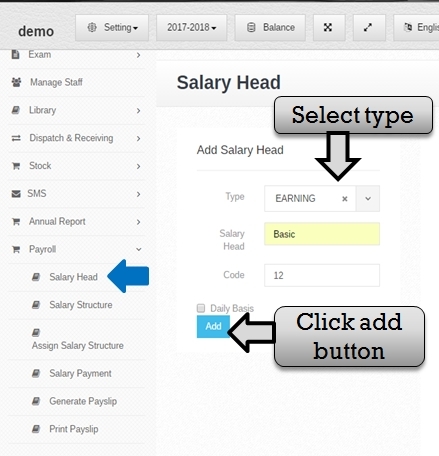 you have to click add button then salary head type value save successfully. 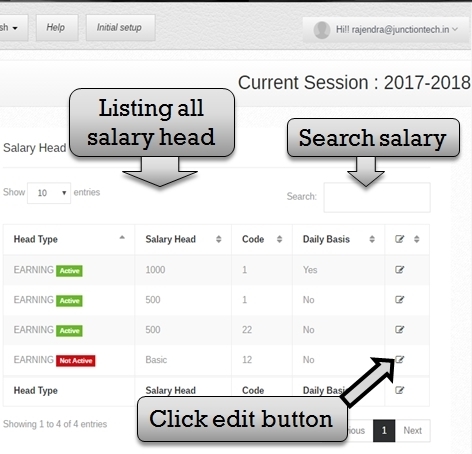 Step:-3 Listing all master entry .then you have to change salary head type value click on edit button then open previous value of salary head type then enter new salary head type value & click add button new salary head save successfully . 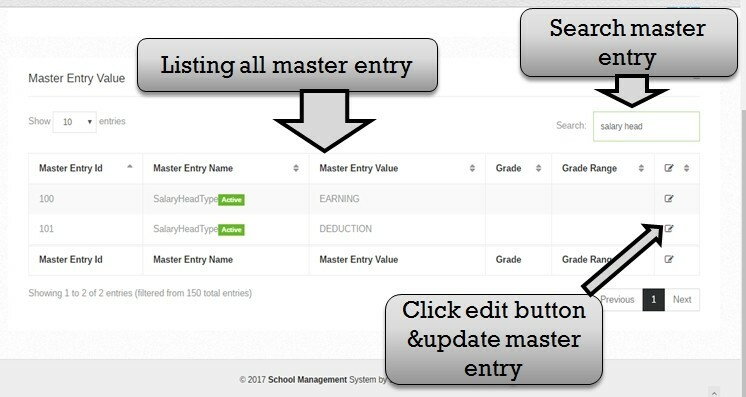 you have to search master entry value please value enter in search box then click enter button. 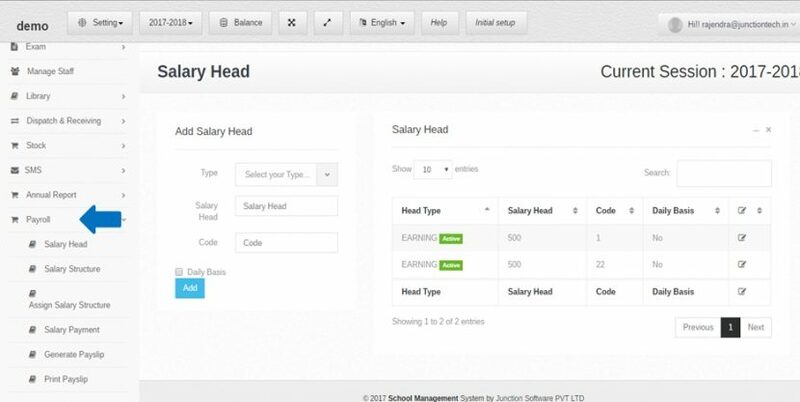 Step:-4 in Payment Management Software You have to create salary head then click on payroll option and select salary head option . please select salary type then enter salary head and code . please click on add button then salary head save successfully . Step:-5 Listing all salary head type list . you have to search salary head please enter salary value in search box and edit salary head information please click edit button . Step:-6 Click edit button then open previous salary head value . 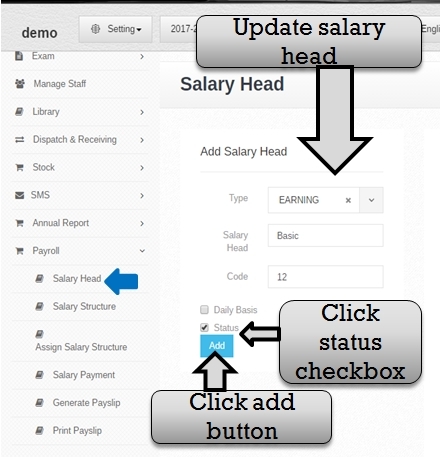 now you have to change salary head please select new salary type , salary head and enter new code then select status checkbox and click add button . salary head active and update successfully . 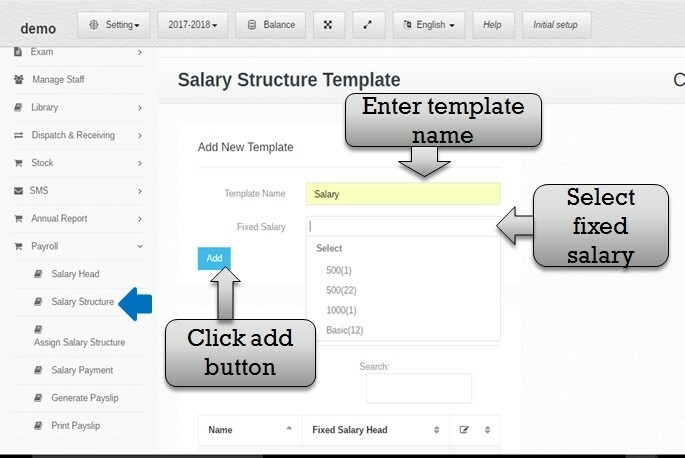 Step:-7 Now you have to select salary structure option and create salary template . please enter template name and select fixed salary then click add button salary template create successfully . Step:-8 In Payment Management Software listing all salary template list . now you have to change template detail please click edit button then open previous template detail please update salary template information and click add button then salary template detail save successfully . 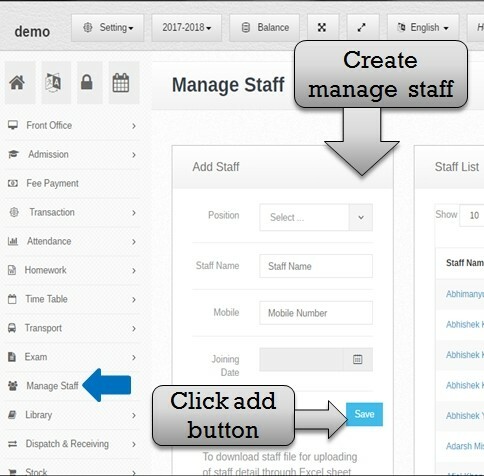 Step:-9 Create staff you have to click on manage staff option then add new staff please select staff position , enter staff name and staff joining date then click save button staff create successfully . 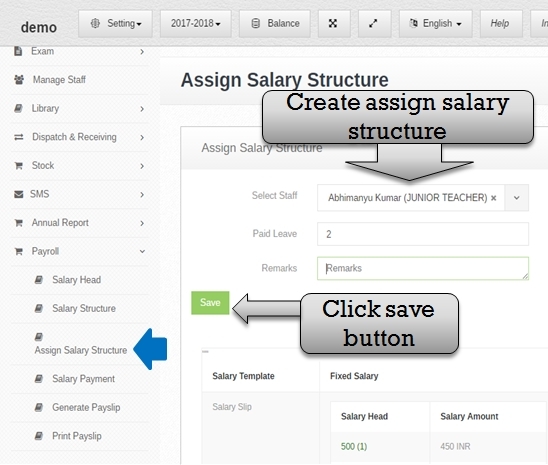 Step:-10 Select assign salary structure option add new assign salary structure please select staff name , salary template name and fill all assign salary structure information and click save button assign salary structure save successfully . 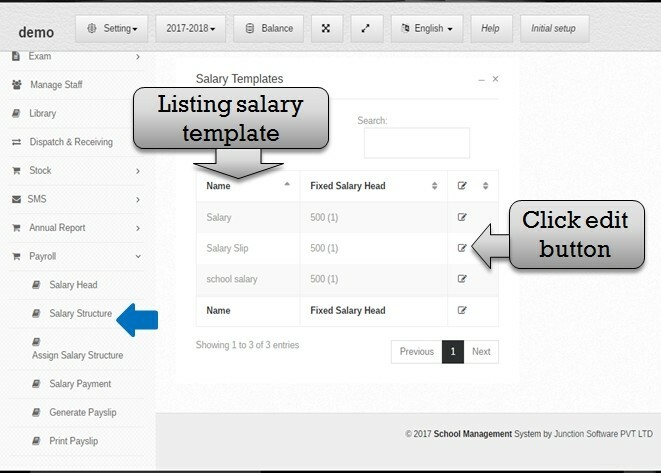 Step:-11 Listing all assign salary structure list then you have to delete assign salary structure then click cross button and assign salary structure delete . Step:-12 You have to pay staff salary payment please select salary payment option then select staff name , payment type then fill all salary payment detail and select account name now click on save button and salary payment detail save successfully . Step:-13 In Payment Management Software salary payment successfully save then generate payslip . please click generate payslip option then select month & year , enter amount and select staff name then click generate payslip button and payslip generate successfully . Step:-14 Payslip generate successfully now print payslip please select print payslip option then select month & year and staff name then click get payslip button and payslip create successfully . Step:-15 Staff Salary Payment Software - Salary slip print successfully .